Alcoa Corp (NYSE:AA) has posted its numbers, and the first-quarter earnings season is unofficially underway. And, if the company really is the tone-setter for earnings reports, we have good reason to be excited.the aluminum company topped its earnings expectations, and AA stock advanced 4% in response. And yet, the look back wasn’t the most exciting aspect of Wednesday’s report. Rather, it was the look ahead that made investors take notice. After years of running on thin supplies that still managed to meet demand, the industry suddenly finds itself in a position where consumption could actually outpace the available supply of aluminum in the very near future. Yes, other companies have reported their first quarter earnings — major companies too. Bank of America Corp (NYSE:BAC) gave us its numbers on Monday and so did Netflix, Inc. (NASDAQ:NFLX). Nobody’s disputing that Alcoa isn’t actually the first name to dish out numbers. And, nobody’s denying that aluminum demand isn’t really a great economic barometer any longer. Still, it’s a respected tradition to call Alcoa’s report the kickoff of earnings seasons. All the same, to the extent Alcoa’s earnings are a harbinger of what’s to come, investors have reason to be optimistic. The aluminum icon topped earnings estimates of 70 cents per share of AA stock with a profit of 77 cents. And, revenue of $3.09 billion was better than the $3.08 billion analysts had been modeling. Revenue was up 16% year-over-year, while per-share earnings grew 22%. 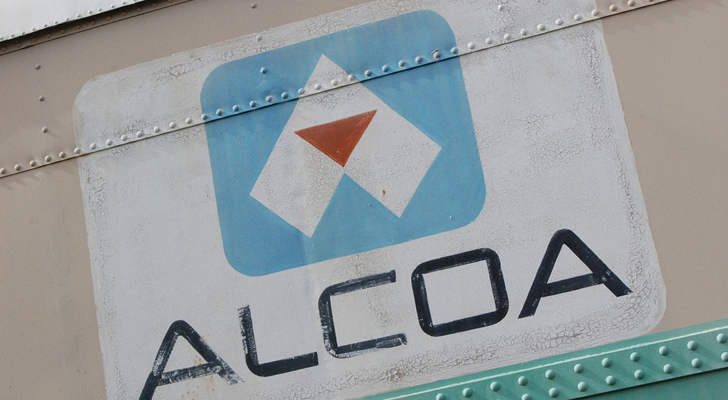 As healthy as earnings were, things could get even better for Alcoa as this year progresses. A quarter earlier, the company had been expecting demand for aluminum to outpace its supply this year by somewhere between 300,000 and 700,000 metric tons. That expected shortfall has since been ramped up to a range of 600,000 and one million metric tons for 2018, thanks to an expected 4.25% to 5.25% increase in demand for the industrial metal. Alumina is also now expected to be in short supply, anywhere from 300,000 to 1.1 million metric tons. …not that Alcoa is complaining. A smaller supply translates into higher prices, and aluminum prices have firmed up quite nicely already. Currently valued at roughly $2300/metric ton, aluminum prices are up nearly 60% since their late-2015 low. Yes, politics is playing a huge role in the commodity’s pricing dynamics. Case in point? Recently-enacted sanctions on Russia have crimped trade with aluminum company Rusal, which is the world’s second-biggest supplier of the metal. Meanwhile, a new 10% tariff imposed on aluminum imported into the United States — a move mostly aimed at China — further obscures the future. Although uncertainty abounds, there’s little doubt that acquiring aluminum and alumina is only becoming tougher and more expensive to do — which is great news for Alcoa. All too often, waning supplies of a commodity lead to sky-high prices. This in turn ramps up production, which subsequently creates an adequate supply… if not a glut. (That’s what happened with oil back in 2014.) AA shareholders may want to at least consider the possibility that this supply crimp and the resulting rise in aluminum prices could eventually burn out on its own. There’s also the distinct risk that the politically-charged jockeying could end with little to no warning, as China and the United States each agree to lower or cancel tariffs rather than to reciprocate and raise tariffs. Somehow though, that doesn’t seem to be likely in the foreseeable future. It can take years for suppliers and miners to bring new capacity online. And, while the tariff-war talks will likely abate, the willingness to use aluminum as a political pawn has been established. That genie won’t be put back in the bottle anytime soon. In other words, while Alcoa stock may be a bit overbought today thanks to the 4% post-earnings surge, it’s certainly not a bad pickup on a dip. It could be a year or more (probably more) before the supply/demand/sentiment dynamic starts to threaten Alcoa’s growth. On that note, analysts are looking for sales to grow 6.9% this year, to $12.45 billion. That should be enough to raise per-share profits from last year’s $3.01 to $3.60 this time around. That outlook, though, may not fully reflect the looming supply shortfall. For more perspective on the premise, Century Aluminum Co (NASDAQ:CENX) will post its quarterly numbers on May 3rd. Kaiser Aluminum Corp. (NASDAQ:KALU) will release last quarter’s results on April 25th. Article printed from InvestorPlace Media, https://investorplace.com/2018/04/alcoa-corp-sweet-spot/.